As a Jacksonville Drivers License Lawyer, I represented people charged with driving on a suspended license that have never had one. When you have a driver’s license, can legally drive. Basically, you are permitted to drive, because of your license. The Department of Highway Safety and Motor Vehicles (DMV or DHSMV) will issue a drivers license as long as you meet certain requirements. If you have a license, it can be suspended. If you receive a Jacksonville traffic ticket or speeding ticket, your license may be suspended for several reasons. If you do not pay the ticket, your license can be suspended indefinitely until you pay the ticket. If you pay the Jacksonville traffic ticket, you may receive points on your Florida driving record. Too many points on your driving record will result in a license suspension. That is why it is important to talk to a Florida speeding ticket lawyer before paying your ticket. 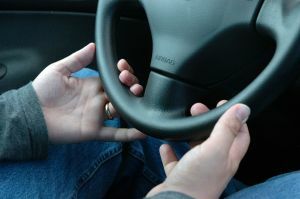 If your license is suspended and you get caught driving, you can be ticketed for unknowingly driving on a suspended or revoked license in Jacksonville. If you knew your license was suspended, you may be arrested for driving on a suspended or revoked license with knowledge. This is a criminal traffic charge under Florida’s traffic laws. What if you do not have a Florida driver’s license? Your drivers license is not technically suspended, because you did not have one. Your privilege to drive has been suspended. When you are ticketed for Jacksonville driving on a suspended license, you are not being ticketed because you have a suspended license. The police officer gave you a citation because your privilege drive has been revoked. This may have occurred because you had a criminal traffic charge that suspended your license. Jacksonville Driving Under the Influence is a crime that will cause your driving privileges to be suspended for at least 6 months. If you are arrested for drinking and driving, you need to hire a Jacksonville DUI lawyer. You may have a different criminal traffic charge with a lot of points, such as Jacksonville Leaving the Scene of an Accident or Jacksonville Reckless Driving. Maybe you have a lot of unpaid Florida speeding tickets? Regardless of why you lost your license, A Jacksonville drivers license attorney can likely help you. Even if you are a Florida habitual traffic offender, you may be able to fix your license. It does not matter if you need a Duval County lawyer, Clay County lawyer, Nassau County lawyer, or St. Johns County lawyer. A lawyer in Jacksonville at 20 Miles Law can help you with all your traffic court and criminal law needs. Call a Florida attorney at (904) 564-2525.